1 owner, Air Conditioning-Automatic with Two - Zone Control, Auto Start-Stop, Cruise Control with Brake Function, DAB Tuner, Park Distance Control (PDC) Front/Rear, Seat Heating for Driver and Front Passenger, 18in Alloy Wheels M Double-Spoke Style 400 M with Run-Flat Tyres, Alarm System (Thatcham 1), BMW Professional Radio with Single CD Player (with MP3 Playback Capability), Bluetooth Hands - Free Facility, Comfort Go Keyless Engine Start, Dakota Leather Upholstery, Electric Windows - Front and Rear with Open/Close Fingertip Control-Anti-Trap Facility and Comfort Closing, Heat Protection Glazing with Green-Tint, Hill - Start Assistant, On - Board Computer (OBC), Rain Sensor. 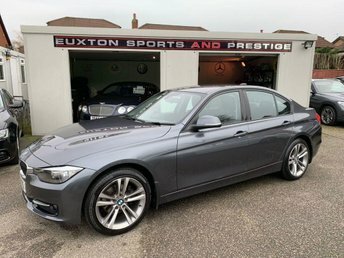 5 seats, FULL BMW SERVICE HISTORY HEATED LEATHER INTERIOR ELECTRIC TAILGATE CRUISE CONTROL BLUETOOTH MULTI FUNCTIONAL STEERING WHEEL FRONT AND REAR PARK ASSIST NEW ARRIVAL MAIN DEALER PART EXCHANGE EXCELLENT CAR THROUGHOUT. , FULL BMW SERVICE HISTORY HEATED LEATHER INTERIOR ELECTRIC TAILGATE CRUISE CONTROL BLUETOOTH MULTI FUNCTIONAL STEERING WHEEL FRONT AND REAR PARK ASSIST NEW ARRIVAL MAIN DEALER PART EXCHANGE EXCELLENT CAR THROUGHOUT.